Everybody knows about Cape Cod’s most famous islands, Martha’s Vineyard and Nantucket. 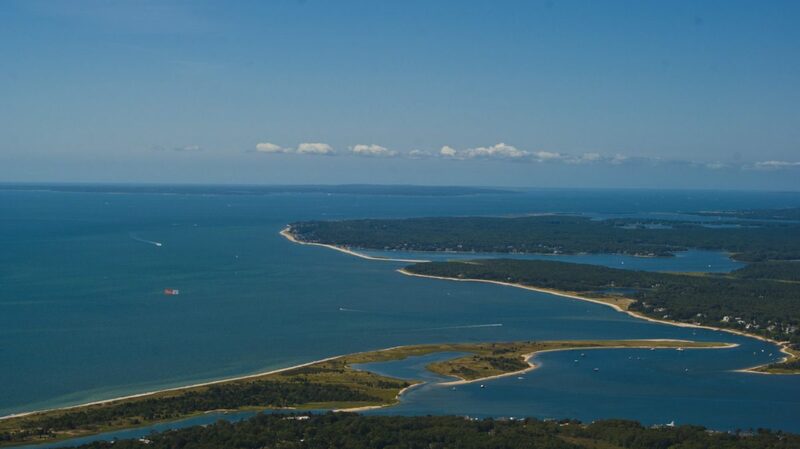 Many are also familiar with the island of Cuttyhunk, with its sleepy village and beautiful views of Vineyard Sound and Buzzards Bay. But what if you’re looking for islands that don’t have restaurants or shops or crowds of tourists, but rather scenery and solitude? A chance to enjoy a peaceful picnic on a quiet beach and connect with nature away from the crowds? Cape Cod has those islands, too. Here are five under-the-radar islands that every Cape Cod boater should visit. Sampsons Island – This 37-acre barrier island also known as “Dead Neck,” is located off Osterville and Cotuit. It’s managed by Massachusetts Audubon, and its beaches, tidal flats and salt marsh are important to migratory birds such as piping plovers and least terns. A narrow channel connecting Cotuit and West bays provides access to the backside of the island, where you can nose your boat onto the sand to offload gear and passengers. Washburn Island – One of the last large undeveloped properties on Cape Cod, this 330-acre island inside Waquoit Bay features hiking trails that wind through oak and pine forests, barrier beaches and salt ponds. The surrounding shallow bay is warm, and the area is known for its scenery and wildlife. Primitive camping is available on the island (reservations required), but with no fresh water or flush toilets, come prepared. Monomoy Island – Home to the Monomoy National Wildlife Refuge, this spit of land stretches 8 miles south of Chatham, forming the barrier islands of North and South Monomoy. The total size of the refuge is 7,604 acres, with habitats such as oceans, salt and freshwater marshes, dunes and freshwater ponds, of which 3,244 acres are designated wilderness. Boaters love the island for its sandy beaches and chance to view wildlife such as migratory birds and seals. The numbers of great white sharks in the area have also spiked in recent years. Egg Island – Drop anchor at this low-lying island at the entrance of Lewis Bay off Hyannis and enjoy swimming in its shallow waters or picnicking on the beach. But plan your visit around low tide, as there isn’t much dry land to enjoy at high tide. Egg Island also makes a great anchorage if you’re spending the night while visiting Hyannis, and it offers good protection from the prevailing southwest wind in summer.